Hot water outlet elbow fitting for Truma Ultrastore series 2 & 3 plus the Trumatic C series and the Truma Boat Boiler until fabrication number 19009000. Connects to 1/2" (12mm) flexible piping. Includes clear tubing for vent. There is a check valve in the hot water outlet fitting on the water heater which has stuck open. You will need to replace the fitting. Our reference numbers are 233297 for flexible water hose or 236269 for push fit hose. The spring loaded valve in your water heater outlet is faulty and you will need to replace the outlet fitting, This will be our ref. 136269 or 133297.
tom , my water heater !! the overflow pipe keeps dripping !! so every 5_10 mins the pump kicks in and tops it up !! very annoying ! You will need to replace the Truma outlet fitting, should be our ref 133297. I ordered this hot water elbow plus the cold water elbow as spares for my Bailey Senator Truma ultrastore hot water cylinder. We had the existing hot water elbow work loose which blew off the HWC and had a partial flood in the caravan. Fortunately no damage done and a re fix of the fitting sent us on the way. The fittings are Truma specific and not available in our country, New Zealand, so if the fitting fails we would have to cut our journey short and wait for a replacement If you have these elbows you should check that they are firmly fixed but not over tightened. Leisureshopdirect listed these parts and promptly dispatched them on my order and now I carry them as spares. Thanks for sending them to New Zealand Leisureshopdirect. 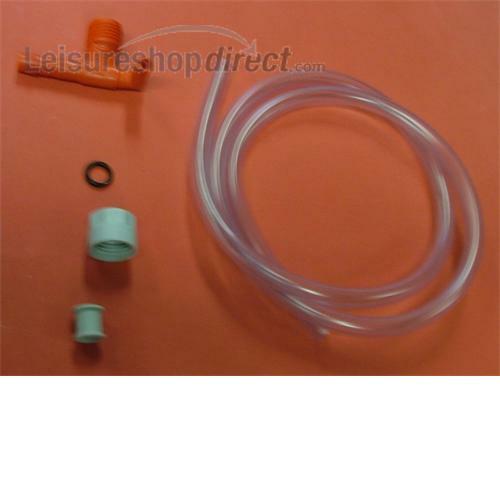 Great service from Leisureshopdirect in supplying this replacement part for my Truma heater. Arrive quickly, Emily fitted and works perfectly!